When it comes to Slots, Silver Oak Casino offers some of the best adventure-filled machines on the market. From the throwback Three Reel Classics to the unbelievably entertaining Real Series Video Slots, there’s a game for every occasion. If you’re looking for big payouts, great graphics and all of the bells and whistles you’d expect from today’s best slots games, Silver Oak has plenty of Vegas-style adventures that you’re going to love. Let’s take a closer look at some of the very best slot games you’ll find anywhere. Get ready to change the way you think about slots. This awesome game combines the incredible rewards of modern slot machines with the look and feel of classic three wheeled machines for an unbeatable experience. 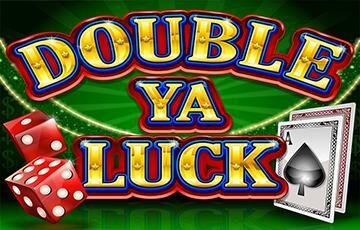 Keep your eye out for the special Double symbol, which means double the winnings are coming your way. You’re going to enjoy the awesome board game feature round, which puts you in a race around a virtual board on your way to big winnings. If that’s not enough, this game features a progressive jackpot that resets at $222, which means that a big win is always just a spin away. Enchant your play with a few spins on this incredible game. The wizards have brewed up a fresh batch of spells and sorcery designed to lead you towards amazing winnings. Start as the Master Wizard’s apprentice, and begin your journey through the arcane arts. With a little training, you can become the strongest wizard to have ever lived. Simply select your bet amount and how many lines you’d like to play, and let the bedazzling magic win you loads of riches in a flash. With its bewitching theme, outrageous features and gorgeous graphics, this game isn’t to be missed. This 50-payline game celebrates all of the boys and girls who don’t like playing by the rules. It’s got everything! Complete with a major jackpot, a minor jackpot, a free games bonus and plenty of rewarding symbols to keep you in the Christmas spirit all year long, it’s a great time to take your mind off of that pesky nice list. Forget about that lump of coal, this game is all about knowing your way around the sleigh. Complete with plenty of buttons, flashing lights and crazy reels, all you have to worry about is selecting your bet and the number of lines you’d like to play. In no time, this speedy game will have you racing towards amazing winnings. Take a walk through the shadows and enter the eerie atmosphere of this spooky game. Featuring spooky Wild Priestesses and scattered Voodoo Dolls, you’ll want to increase your bet to enchant the symbols and reach bigger winnings through the dark powers of voodoo. There’s no need to become a master of the dark arts in order to win plenty of cash, simply select your bet and number of lines, and you’re on your way. Your wish is the voodoo priestess’s command, and she’s always ready to conjure up some incredible winnings. Silver Oak has over 80 free online slot games to ensure that you’ve always got the perfect option to fit your mood. No matter which machine you prefer, there’s no time like the present to get on your way to a big win!